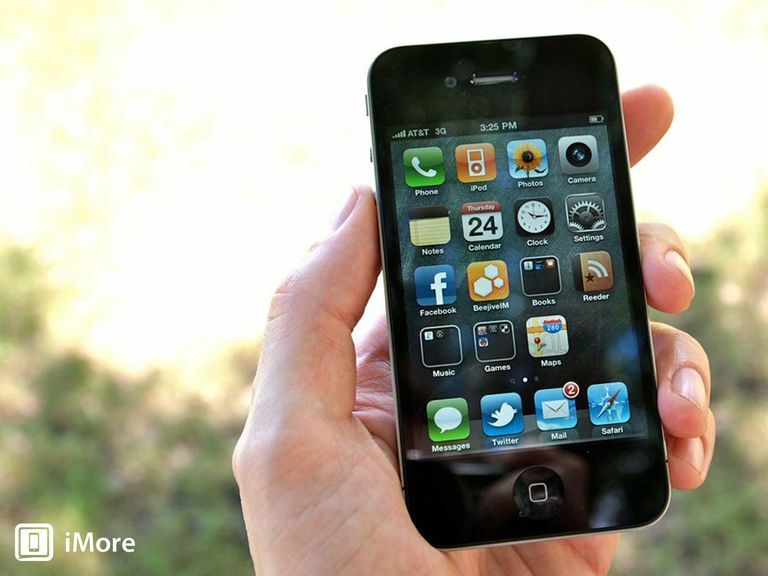 Apple and network providers no longer sell the iPhone 4, but you may still be able to grab one from eBay or Craigslist. Wondering about the latest iPhones released by Apple? Use this guide to find one that best fits your needs. The information below remains for archival purposes only. Wondering how much you'll pay to get your hands on the new iPhone 4? The price of the iPhone really depends on two factors: The cost of the phone itself, plus the service fee you pay every month to AT&T or Verizon. Here's a complete list of all the costs associated with buying and owning an iPhone 4. To get the iPhone 4 for the lowest price, you must sign up for a two-year service contract with AT&T or Verizon. Verizon Wireless is offering the same subsidized prices to new subscribers and those eligible for upgrades. Existing customers who are eligible for upgrades can get these prices through the carrier's "New Every Two" program. Those who are not eligible for upgrades will need to pay full price but may be able to take advantage of Verizon's Trade-In Program. All existing AT&T customers will be charged an upgrade fee of $18, whether or not they are eligible for the discounted prices. Verizon Wireless is not charging an activation fee for new customers. AT&T offers two options: DataPlus or DataPro. DataPlus is a $15-per-month plan that allows you to access 200MB of data. DataPro is a $25-per-month plan that allows you to access 2GB of data. For a complete breakdown of these plans and how much data, you'll access with them, read AT&T's Data Plans: All the Details. If you'd like to use your iPhone 4 as a tethered modem (to which you can connect other devices to the Internet), you'll need to subscribe to the $25-a-month DataPro plan and an additional $20-per-month Tethering plan. AT&T offers a choice of voice plans for the iPhone 4. All offer a certain number of nationwide calling minutes, and all offer free calling to other AT&T mobile phones. All of the plans (except the unlimited plan) include rollover minutes, which allow you to save unused voice minutes and apply them to your next bill should you go over your allotment. Additional minutes cost between 40 cents and 45 cents per minute, depending on your plan. Most of the plans offer unlimited free night (9 pm to 6 am) and weekend calling; the only one that doesn't is the plan with 450 minutes, which limits you to 5000 night and weekend minutes. You also need a messaging plan if you want to use your iPhone 4 to send and receive text, picture, and multimedia messages, and instant messages via AOL, Yahoo, or Windows Live. Here are the options from AT&T. Without a plan, AT&T charges 20 cents for each text or instant message you send or receive and 30 cents for each picture or video message. Verizon charges 20 cents per text message and 25 cents per picture/video message. How Much Does the iPhone 4S Cost? How Much Does TiVo Cost? How Much Does it Cost to Have a Custom Blog Designed?